Renovated former 17th Century farmstead, furnished and equipped to appeal to those who appreciate attention to detail. The Estate has a negligible impact on the Environment thanks to the use of Heat Pumps, Solar Energy, Heat Recovery Systems, Electricity from Renewables and our own supply of Spring Water. Guests may also charge their Electric Vehicles free of charge. 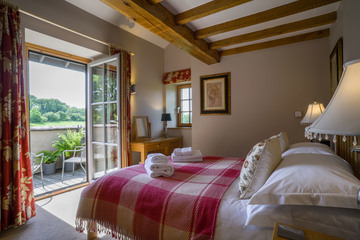 The Award Winning Hyning Estate provides luxurious, high quality, 'Green', self catering accommodation on the edge of The Lake District and Yorkshire Dales National Parks just minutes from the M6 and from Oxenholme Station (Virgin rail services between Scotland & Euston). 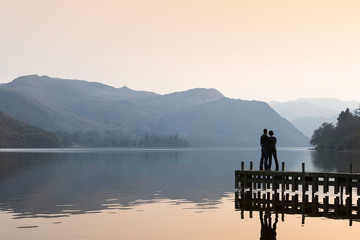 Awards include Visit England 5 Star, Visit England Gold, Green Tourism Gold and Cumbria Tourism 2015 Winner. There are 7 individual, private dwellings which sleep between 2 and 12+ people, or 27+ in combination. 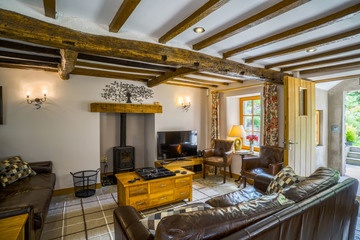 Two pairs of cottages can also be linked together so whether you require a quiet secluded hideaway for a short break, something larger for the family holiday, or a venue for a get together then we can help. Please see our Accommodation Summary or use the menus above to visit each of the indivitual properties or to explore what we, and the area, have to offer. Stunningly beautiful and renovated to the highest standards, The Hyning Estate offers seven self catering cottages. All are beautifully appointed and sympathetic to their 17th century origins. Retained beams, sandstone quoins, limestone floors, roof top patios, Juliette balconies and ironwork are skilfully combined with modern bathrooms, oak and granite kitchens, woodburning stoves and the latest high-tech appliances. 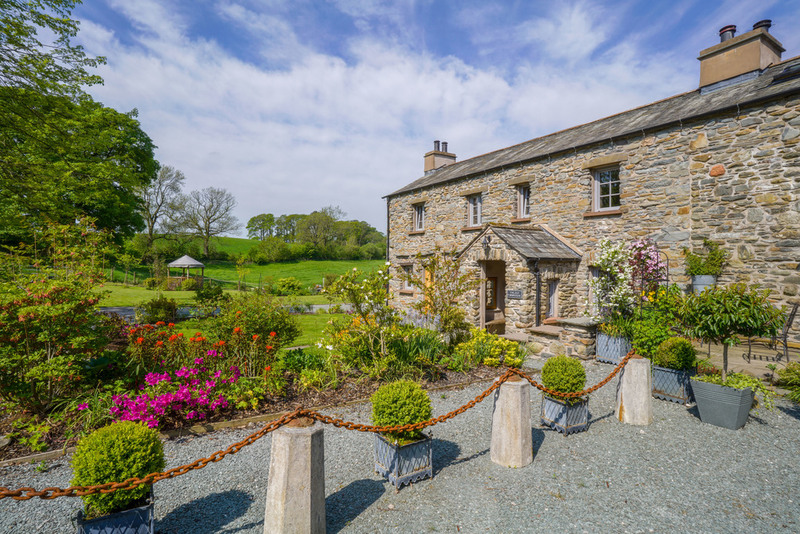 The Hyning Estate won Cumbria Tourism's Self-Catering Holiday of the Year Award 2015 in recognition of the High Quality Development of The Hyning Estate and our Commitment to Excellence, Customer Service, Accessibility and Sustainability. The Estate was also Cumbria Tourism's Sustainable Tourism Award 2015 Finalist. We'd like to thank all our guests for their wonderful reviews on Trip Advisor (there are more here). Customer Service, inspired design, the best local materials, reuse and sustainability all coalesce to create a truly outstanding holiday experience. 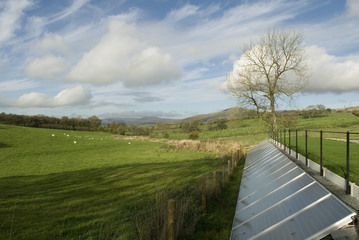 The Estate nestles in its own basin on the edge of two spectacular National Parks in the shadow of the Howgill Fells. 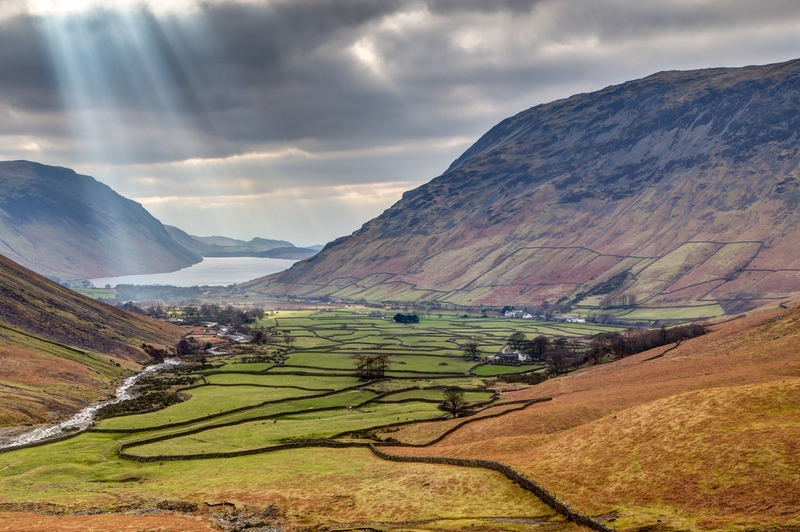 The Lake District is known for its glacial valleys, lakes, rugged fells, good food, literature and wonderful gardens whilst limestone walls, scars and cave systems characterise The Yorkshire Dales which is also known for its cheeses and local ales. Market towns such as Kendal are home to traditional inns, galleries of local art and outdoor equipment shops. 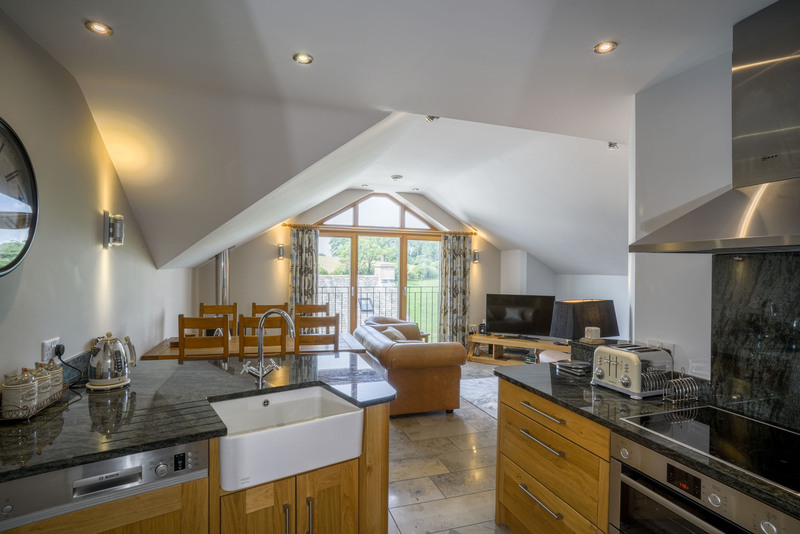 The properties all benefit from triple glazing with heating and hot water being provided by solar thermal panels and a ground source heat pump supported by heat recovery & ventilation systems which together assure you of a draft free, warm and cosy welcome. Each property also has an attractive wood burning stove. All the cottages have been furnished and equipped to appeal to those who appreciate attention to detail. Lounges feature leather sofas, large LED TV's, Wi-Fi, Blu-ray and media players whilst kitchens boast granite surfaces and the latest Neff & Bosch Induction hobs, Double ovens, Dishwashers and Washer-Dryers. Bedrooms all feature solid light oak furniture, generous 11” pocket-sprung mattresses, fitted curtains, Persian rugs and tasteful ornaments and hangings. 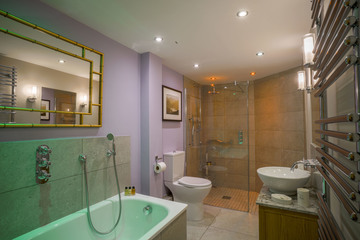 Adult rooms feature internet clock radios and a basic Internet Terminal is provided in one bedroom for guests unable to bring their own Laptop or Tablet. Luxurious tiled bathrooms offer high quality showers and baths with a heated towel rail and light oak / granite cabinet supporting a round ceramic bowl. The Estate has a negligible impact on the Environment thanks to the use of Heat Pumps, Solar Energy, Heat Recovery, Triple Glazing & Electricity from Renewables. 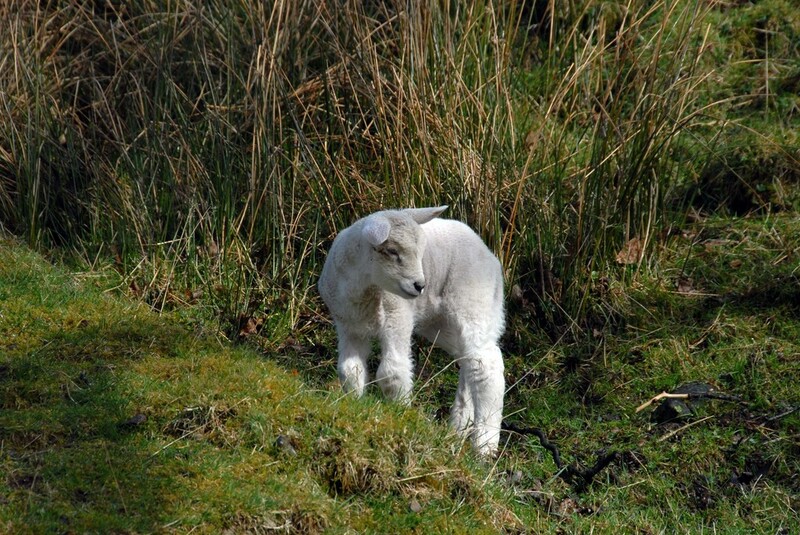 The Hyning Estate lies on the edge of The Lake District (UNESCO World Heritage Site) and Yorkshire Dales National Parks close to Arnside & Silverdale (AONB), Eden Valley and Hadrian's Wall (UNESCO). In creating The Hyning Estate we have focussed on providing the very best that is attainable on multiple (often conflicting) axes, bringing these all together in one holistic package that places The Guest and The Environment at its centre. Guests are delighted when they arrive but it’s not until they’ve stayed a few days that they really come to appreciate the care and attention that has gone into every detail. As the Editor of Radio Times said, “These are elegant, luxurious, practical and homely places to stay – a very hard mix to achieve … but a very well deserved conclusion to what the owners call “their Grand Design”. PLEASE NOTE: All accommodation is non-smoking and pets are not allowed (Assistance dogs are very welcome provided that we know in advance). "The luxurious accommodation deserves the recognition and awards it receives"